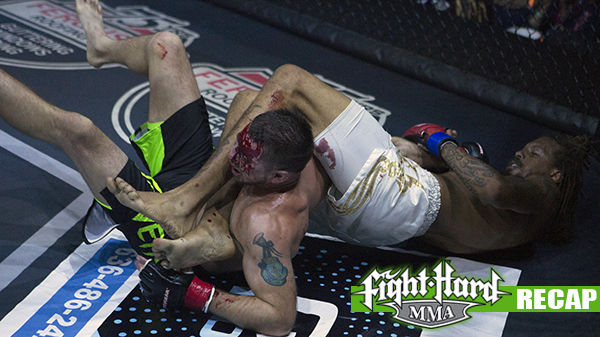 Fight Hard MMA got back to the pro's on Friday night with a seven-fight, all-pro card at the Family Arena. Scott Futrell stepped in on 24-hours-notice to replace Kyle Kurtz in the main event against Lucas Gwaltney. An 11th hour legal proceed forced the removal of Kurtz just days before the scheduled bout. It was a tumultuous week for the promotion but it rebounded nicely with a tight, well-paced show. In the first round, Gwaltney and Futrell were even on the exchanges early with Futrell finding success with his kicks. Around the 3:40 mark cage work became the theme until Futrell unsuccessfully tried a trip and Gwaltney plunged down on top and was in a dominate position. Futrell made his way back to his feet but Gwaltney never relinquished back position, holding on with a body triangle. Gwaltney was determined, mixing in punches and taking several cracks at a choke. Futrell showed solid defense throughout and eventually spun free and landed an elbow. Futrell noticed the shift in momentum and upped the volume with punches and kicks to end the round. To the start the second, Gwaltney looked significantly spent from the energy it took going for those submissions in the first round and Futrell had a strut about him. Futrell was roughing Gwaltney up against the cage, disengaged, eventually swooped in for a takedown and made his way to mount. From there, Futrell dropped heavy elbows, including one that split Gwaltney open the moment it landed. Futrell eventually attempted an arm bar that Gwaltney fought out of and the pair ended the round trading on the feet. The cut Futrell caused on Gwaltney was deemed too severe and the fight was called in-between rounds, giving Futrell (5-3), who had been away from action for a year-and-a-half, the victory. 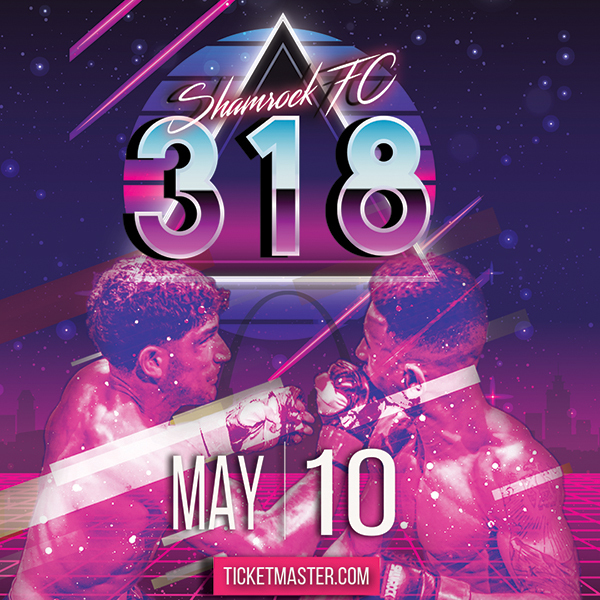 After the fight Futrell made his notions clear about a fight with welterweight prospect Joaquin Buckley, but Fight Hard President Kenny Nowling was quick to redirect back to a desired rematch between Gwaltney and Futrell. In the co-main event, Dan Busch made it gritty and grimy in winning by decision over Derek Clardy. This ground-laden affair played in favor of Busch,as he was able to stay out of harm's way, that being Clardy's power punching. The second round saw the bulk of the action as Busch transitioned to mount. Busch poured on the volume late in the round. "The kid is tough as nails, and a tough fight for my debut," Busch said. "It was a grappling match with a lot of elbows. Lots of cage work and grappling." Katy Collins' tenacious ground game led to a first-round submission win over Jamie Thornton. Collins chipped away until around the three-minute mark when she got in on Thornton and took her back. "That's my bread and butter," Collins said. "It's just my nature. If I see neck open, I'm going to take it. I'm going to keep going and going and I will catch you slipping." It was announced afterward that the "Red Dragon" Collins, who has been garnering serious interest from Invicta FC, would fight Ronny Nanny for the Fight Hard bantamweight title in December. "I love to fight, either way, title or not, money or not," Collins said. "But this will be little more motivation. She reminds me of myself." Kyle Noblitt took a short-notice fight and made quick work of Mike Wasem. Noblitt big-brothered his way to first-round TKO victory after taking Wasem down and finishing the fight from mount. Luis Pena and Chris Petty met in this very arena as amateurs. On that night, Petty needed just 24 seconds to get the submission win in a welterweight bout. On Friday, the two met at lightweight and a more prepared Pena picked Petty apart, winning his pro debut. Petty went in for an early takedown and eventually Pena attempted an armbar but Petty slammed his way free, causing a scramble. Once to the feet, Pena took over. He dropped Petty with a short hook. The pair had an awkward heel hook stalemate before Pena broke feel and went back to work with his striking. Pena popped Petty with a jab and then landed a straight left hand for the knockout with 36.6 left in the first round. "I have been ready for this fight for months," Pena said. "I felt uber confident going into this fight." Ronnie Nanney went to work against Nikki Smith in the other half of the women's flyweight tourney. Smith went in for a takedown, but a nice sprawl by Nanney nullified progress. Nanney spun around to the back and patiently waiting for the near naked choke, eventually getting the finish. With the win Nanney will face Collins in December. In as a close-as-nails bout, Anthony Livingston got the decision win over Frank Cortez. Livingston was able to dictate pace but Cortez was landing at volume. Livingston closed out the third with a powerful takedown and rode out the remaining minute plus from side control to put an exclamation mark on the final stanza. Fight Hard MMA is penciled in to return to the Family Arena on December 3rd.